This stunning property can be found just next to the beach with a garden/terrace, swimming pool and beautiful coastal views. 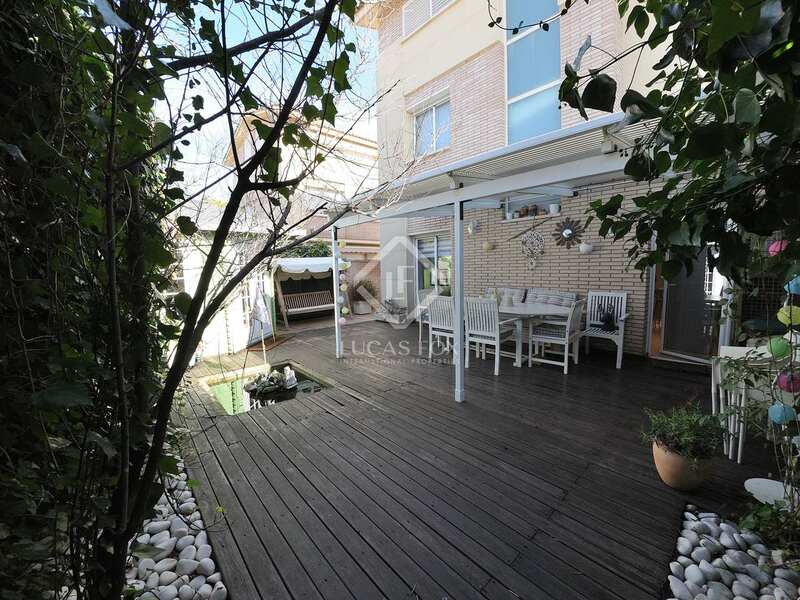 A front line property, this lovely town house has its own garden and terrace area, complete with a swimming pool. 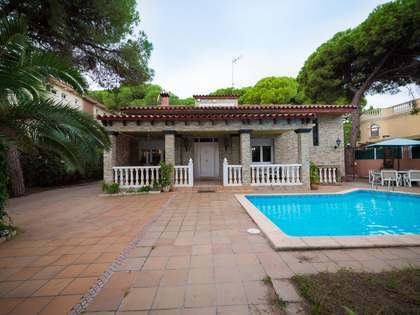 You will also find a garden house, which is currently being used as a games room and somewhere to relax, as well as a covered terrace area suitable for outdoor dining. On the ground floor of the house you will find a large living-dining room with large windows and access to different areas of the garden/terrace, an open plan kitchen and a guest bathroom. 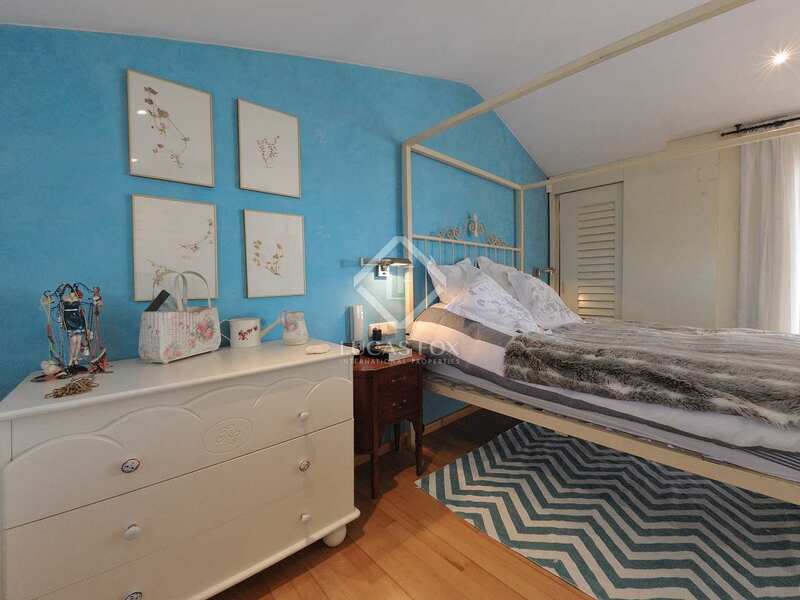 Upstairs on the first floor are the 3 large, single bedrooms with a shared bathroom. 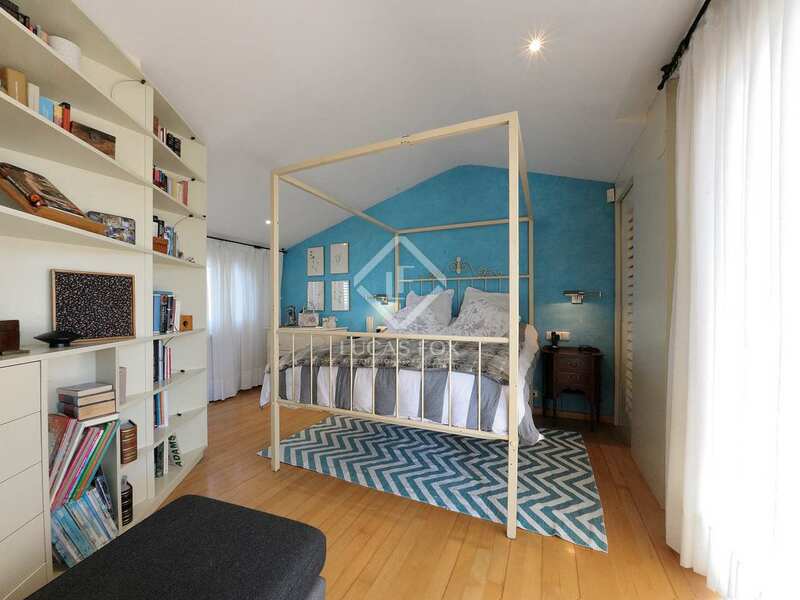 Whilst on the second floor, we find the main en-suite bedroom with a dressing room and access to another terrace. 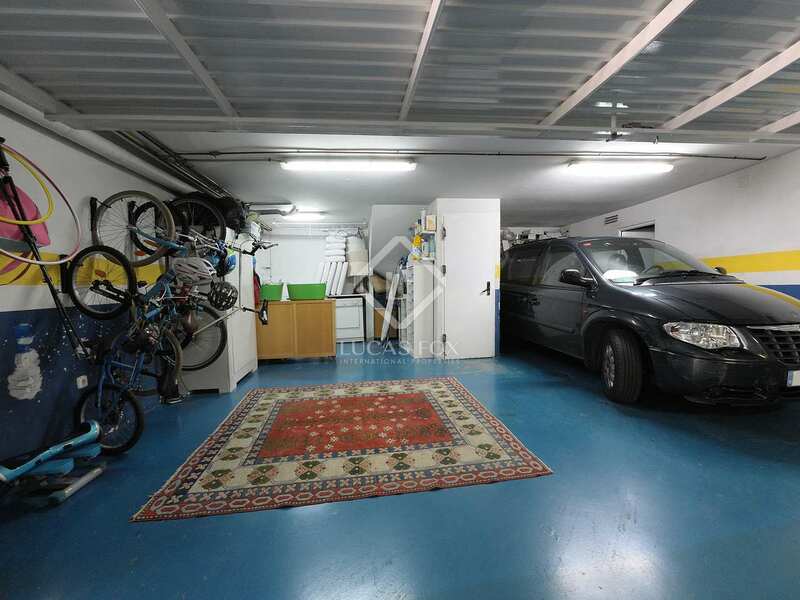 In the basement of the property are 2 parking spaces, a storage room and utility room. 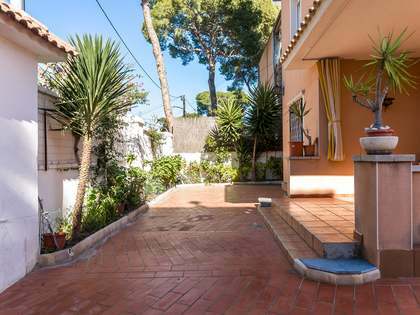 The property comes equipped with heating, sound proof walls, electric blinds and access to a recently renovated communal area. 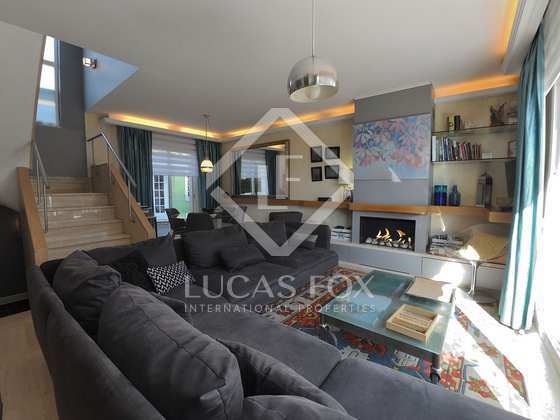 Due to being front line and having plenty of large windows, the house benefits from plenty of natural light throughout the day. 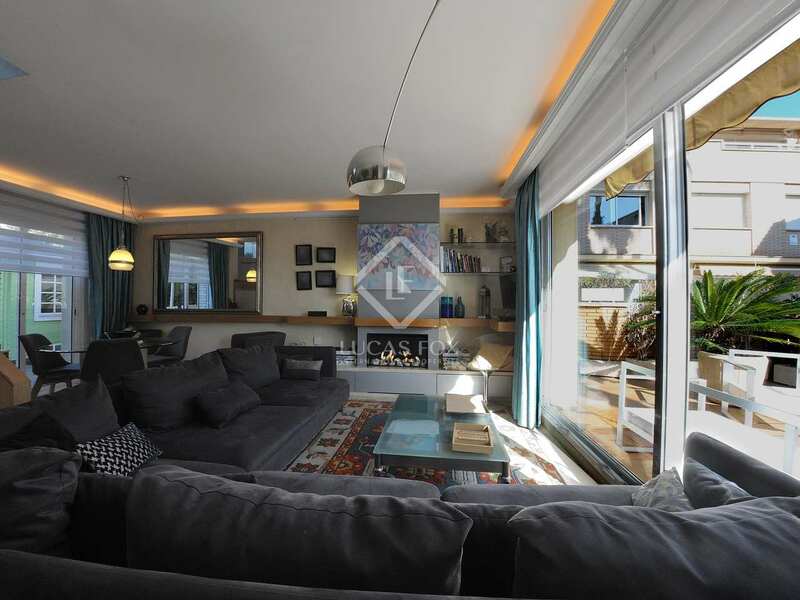 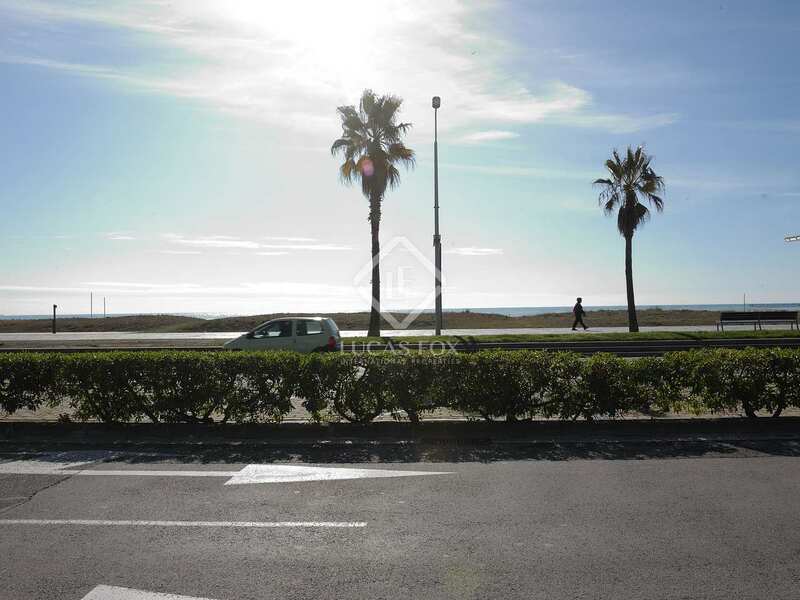 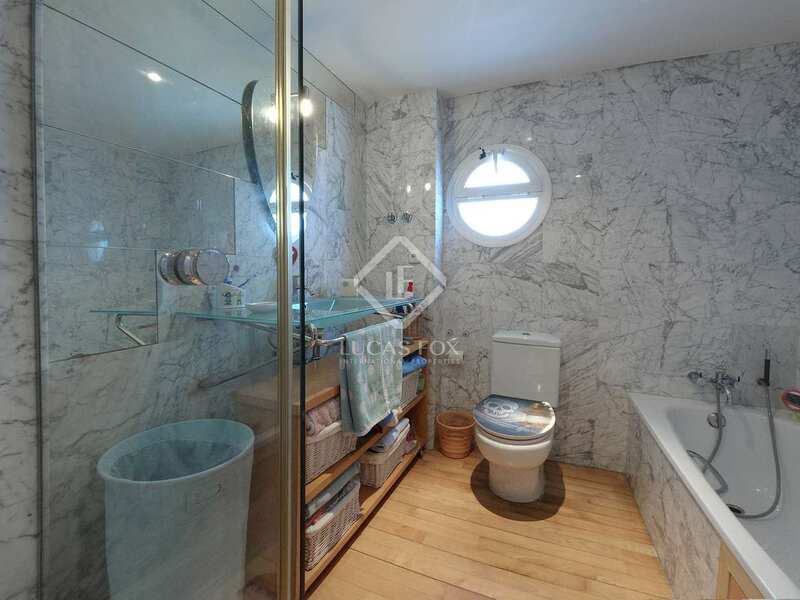 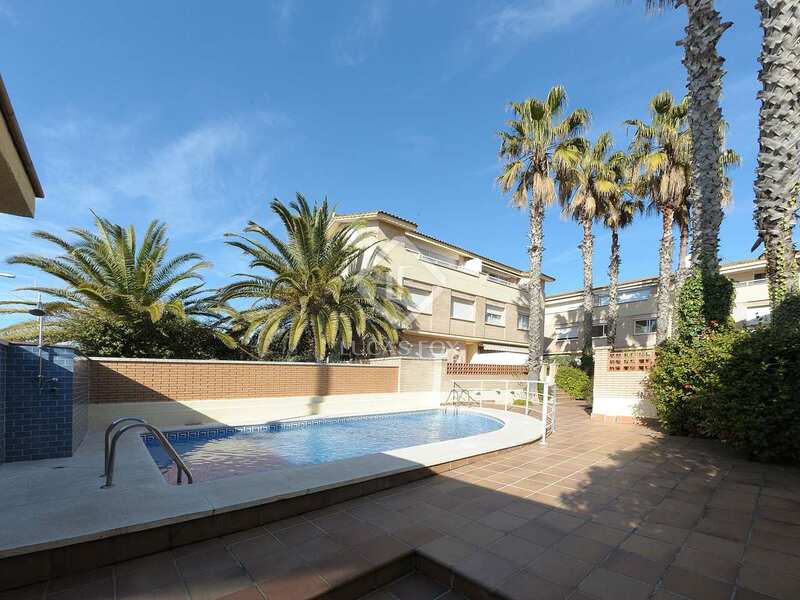 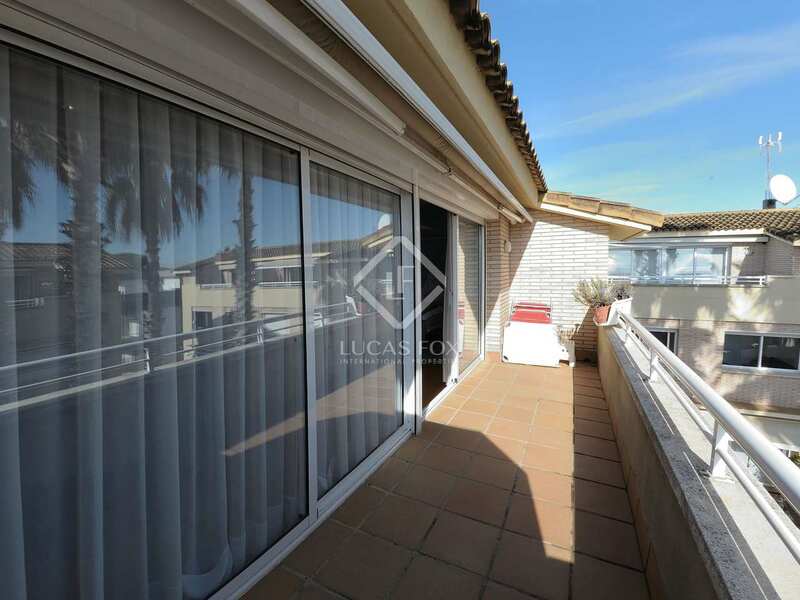 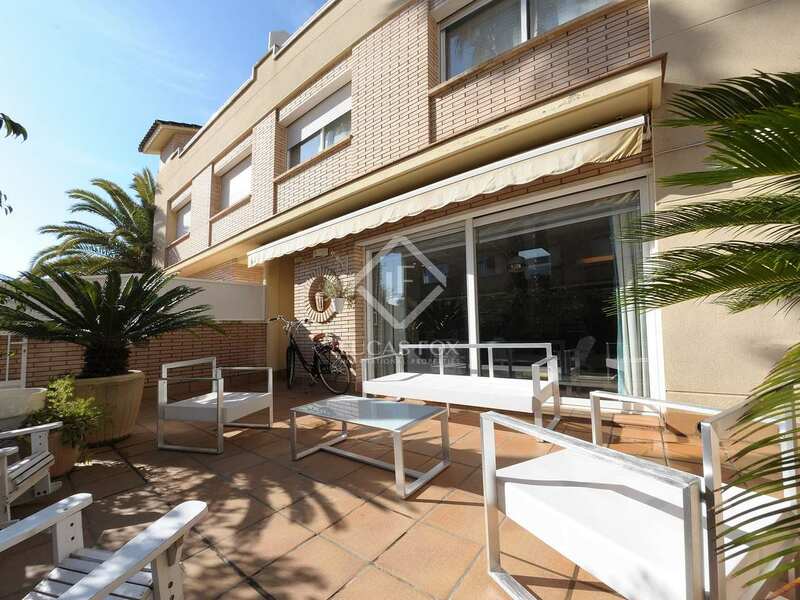 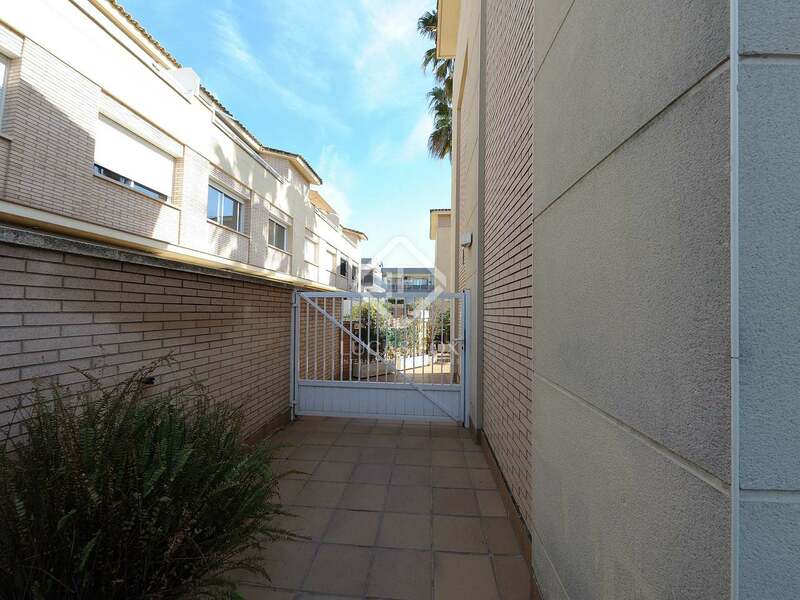 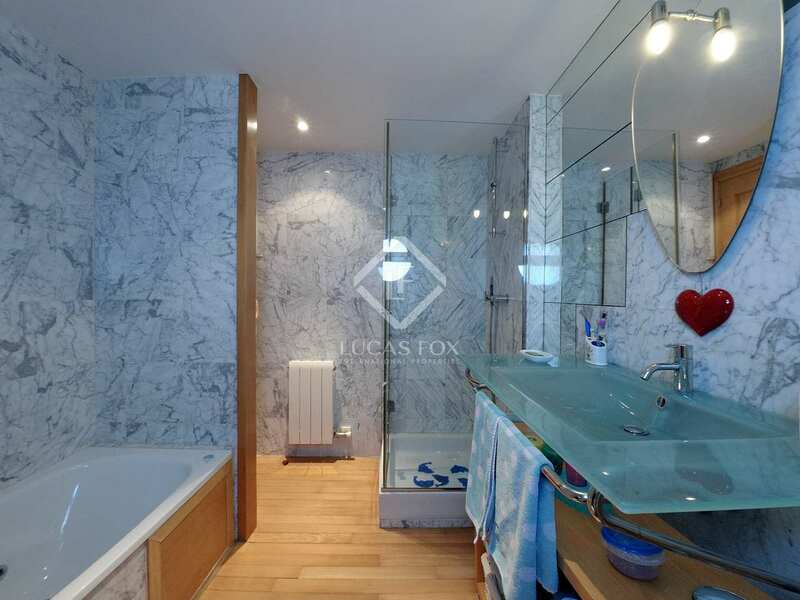 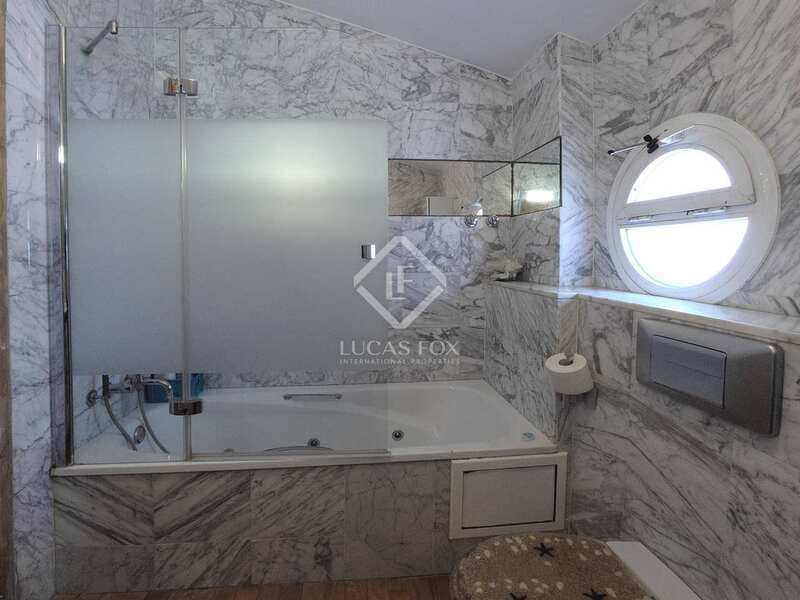 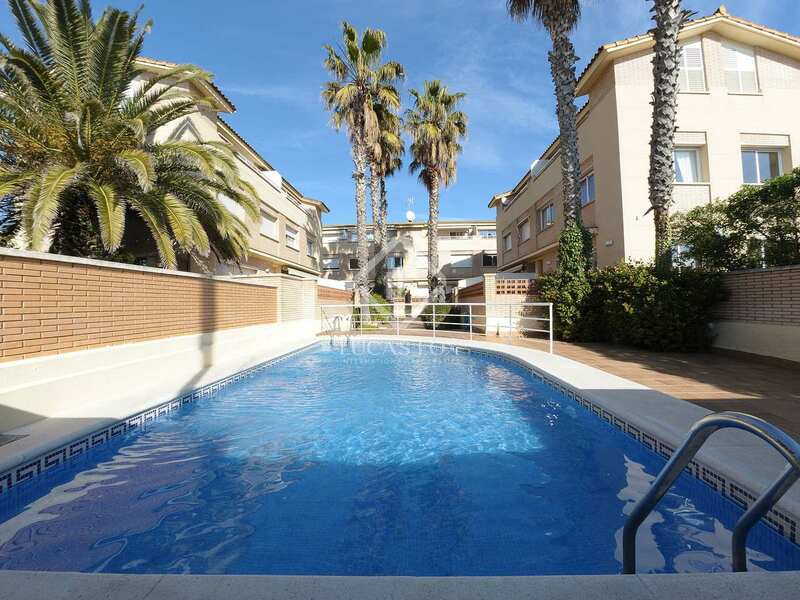 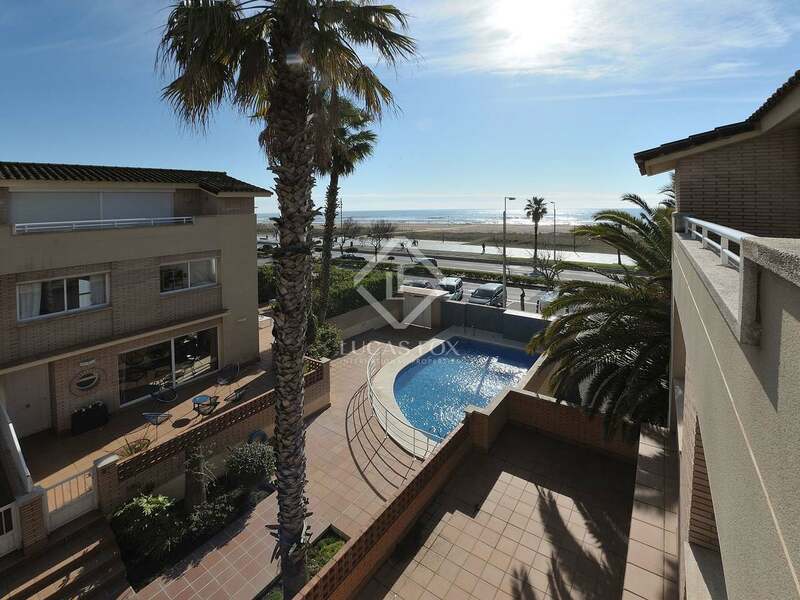 An ideal property for families looking for somewhere on the beach, this town house would also be a fantastic opportunity for investors due to its desirable location and facilities. 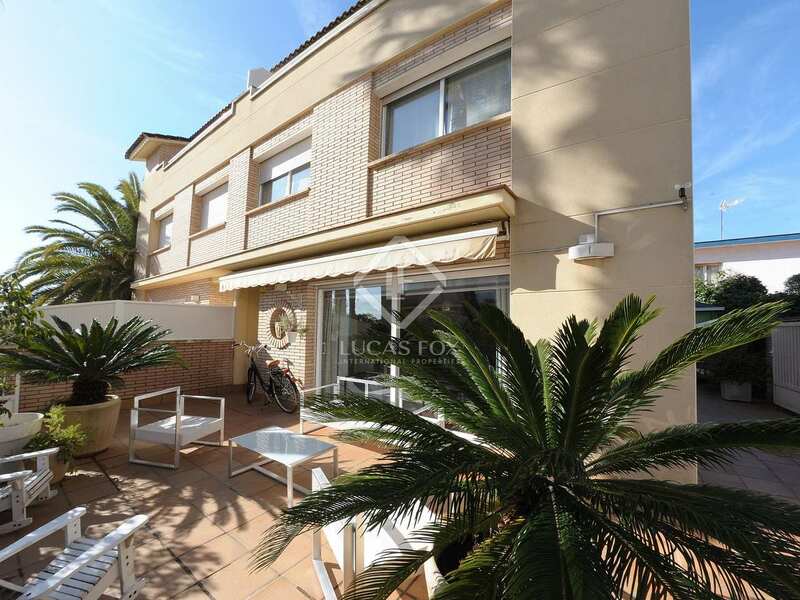 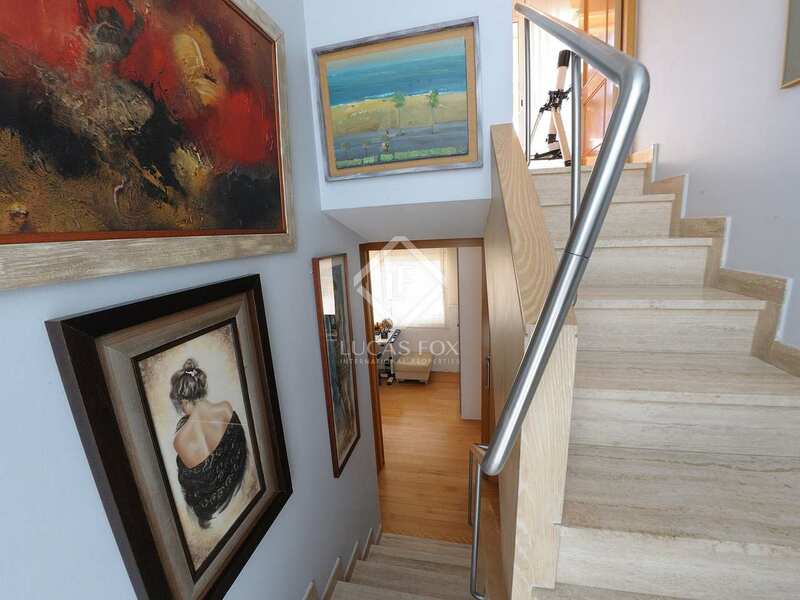 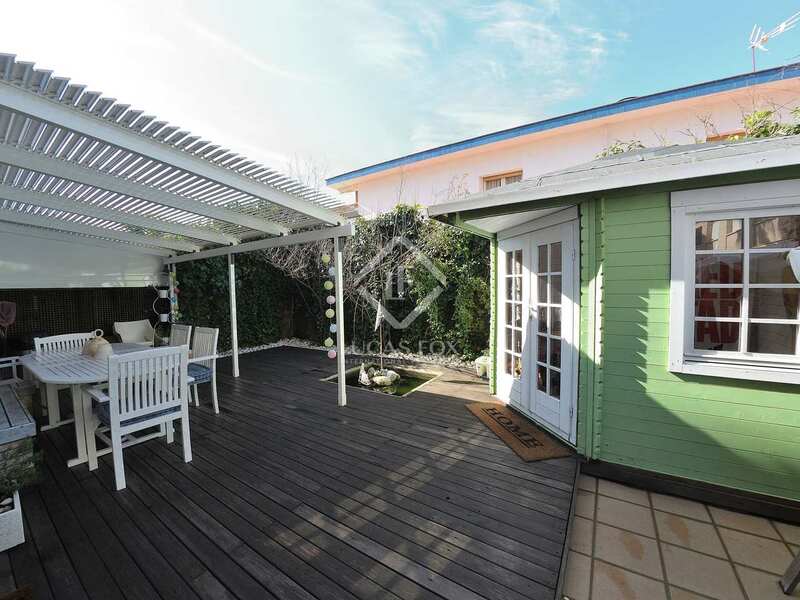 This front line town house can be found right on the edge of Gavá beach and is surrounded by all amenities from restaurants and hotels to international schools, sports clubs and shops. 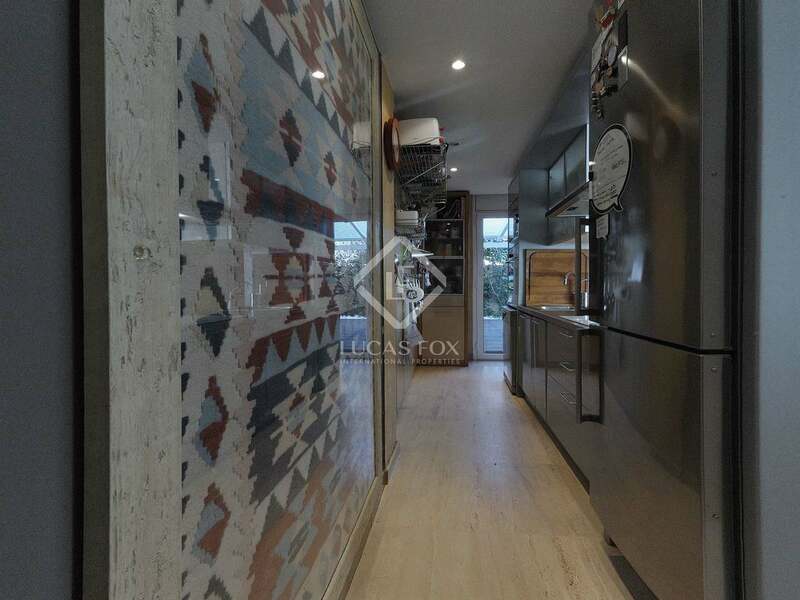 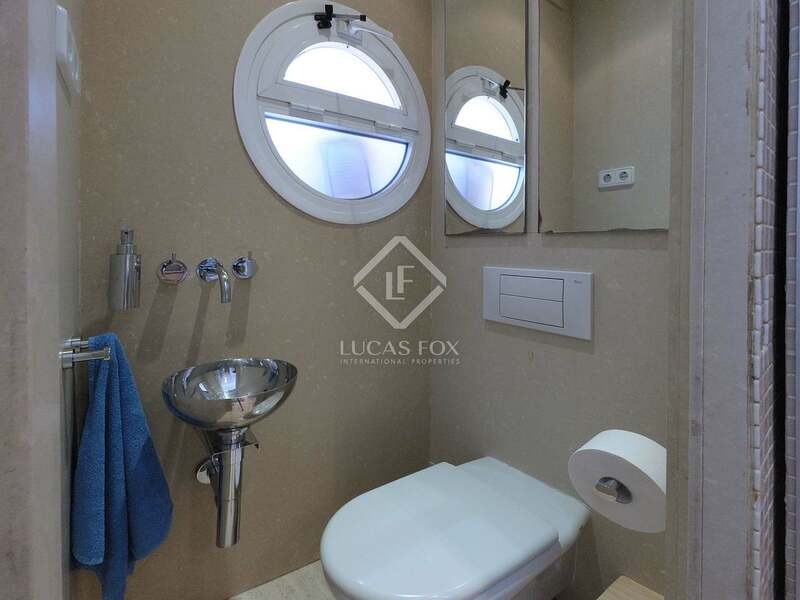 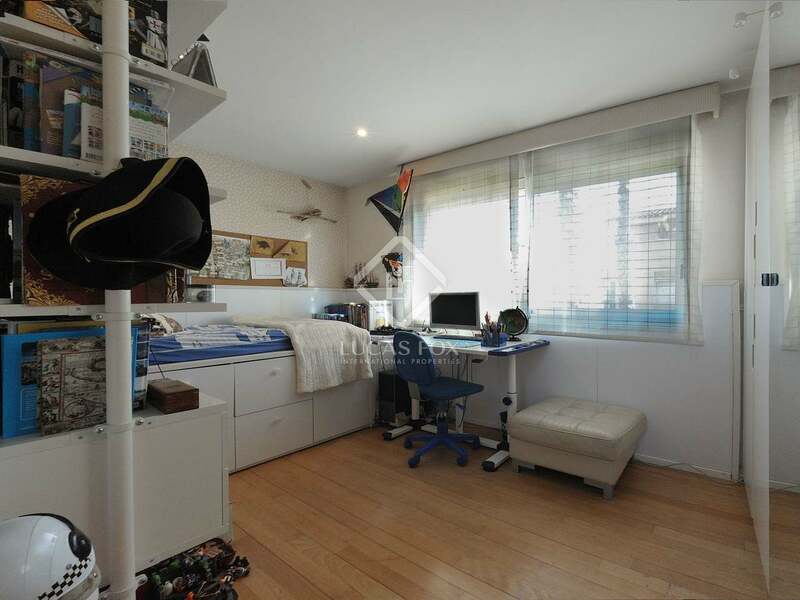 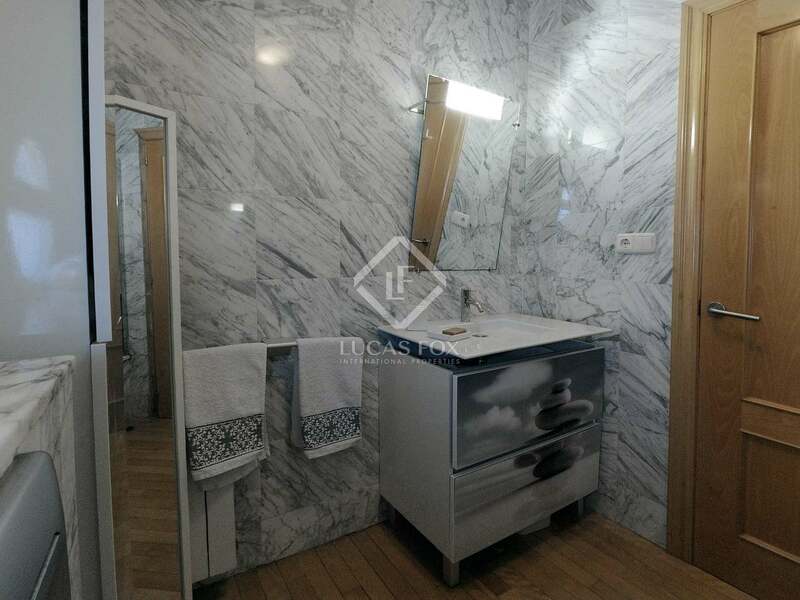 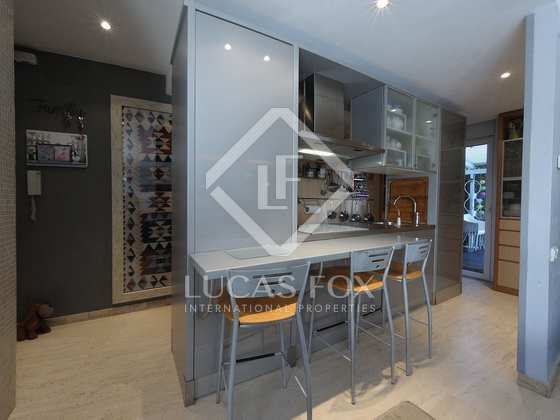 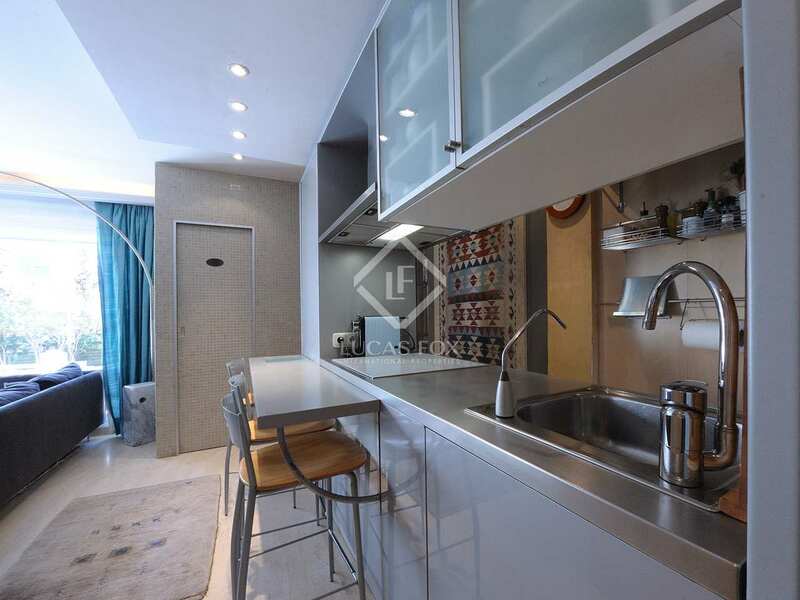 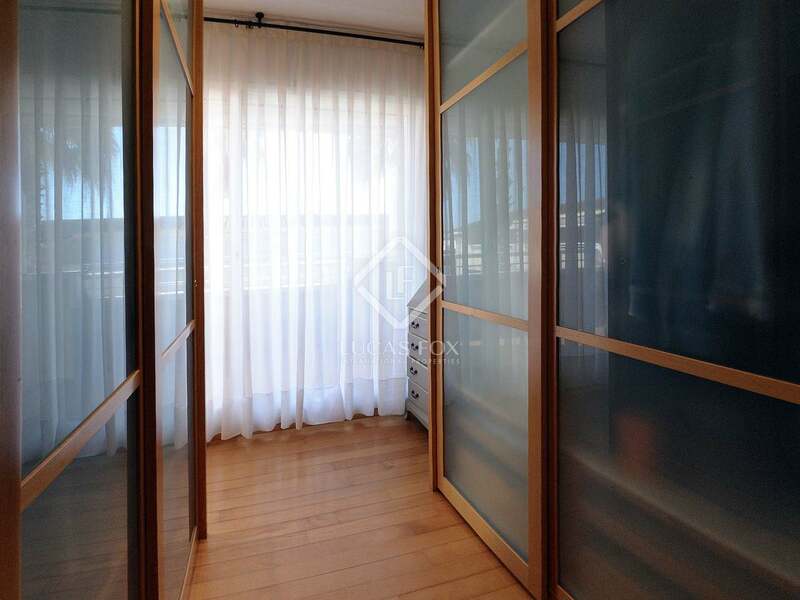 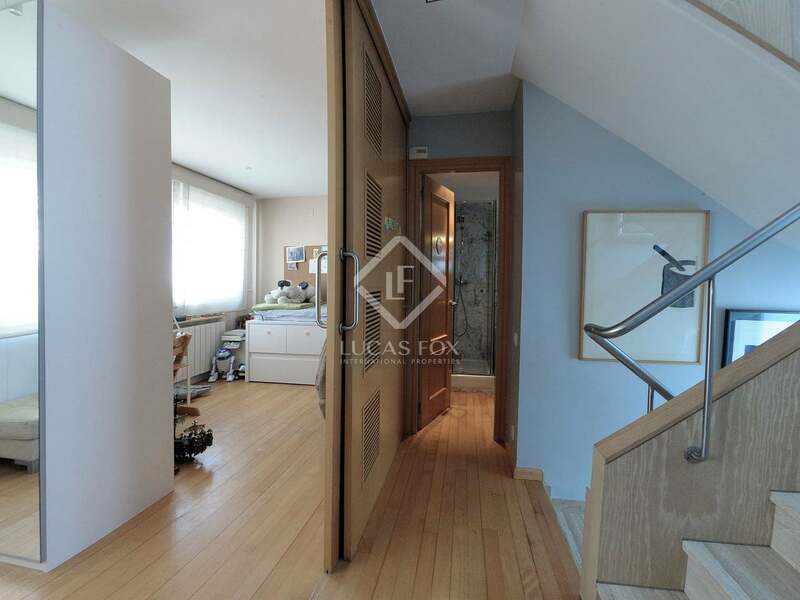 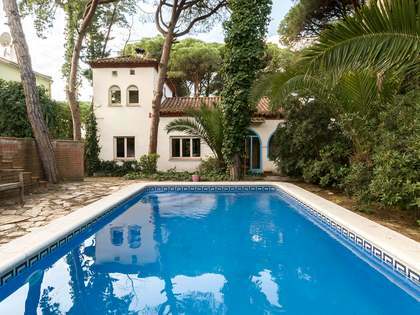 It is very well-connected to public transport with numerous bus stops near-by and just a short distance to the RENFE train taking you to central Barcelona (Passeig de Gracia) in less than half an hour.